But I watched brothers slip-and-slide to Kling Klang’s cling-clang, up and down Freeport High School’s hallways, all during the fall of my sophomore year, so the quartet’s Teutonic ghetto grip never really surprised me. You could say I grew up with it. 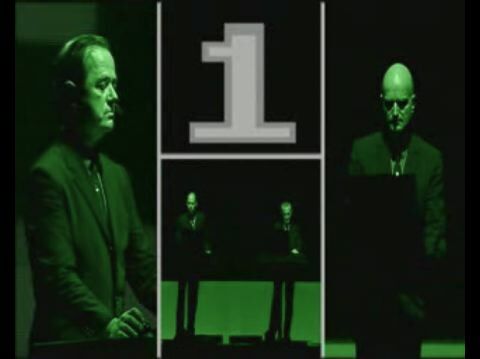 Diehards, however, mostly need check out Kraftwerk’s live take on “Numbers,” from 1981′s Computer World, which, like Trans-Europe Express, I still own on vinyl. (Some will know “Numbers” best as the groove sampled for “Steam,” by Nicole Scherzinger of the Pussycat Dolls.) Seeing this YouTube, and the way they be-freaked the original track, sold me one DVD, and at least two tickets to their next NYC show. Check it out, then do likewise. I like you, Harry, was raised on Kraftwerk. Huge influence on me, still to this day. were to herd, I actially use numbers to track kids the electric boogie, the robot & they learn how to count to 4 in 3 languages, german, Spanish & Japanese, all while the are dancing, they go crazy & love it! thanks for the primer harry, RTing right now! 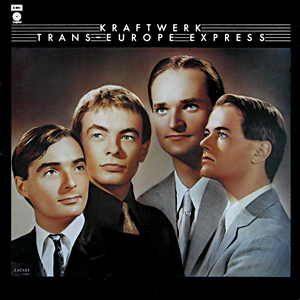 Trans Europe Express never leaves my mp3 player, playa!